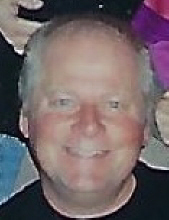 Robert A. Burtosky, 66, of Stahlstown, died peacefully at his home on Monday, April 1, 2019. He was born August 21, 1952 in Pittsburgh, a son of the late John A. and Elena "Helen" Monzo Burtosky. Bob was a member of Local #66 Operating Engineers for over 40 years. He was a member of Ligonier Lodge #331 F&AM. He is survived by his wife of 35 years, Wanda Levadnuk Burtosky, four children, Lizabeth A. Burtosky of Greensburg, Bryce A. Burtosky of Pittsburgh, Randy A. (Cindy) Burtosky of Kalispell, MT, and Justin R. (Mika) Burtosky of Okinawa, Japan, six grandchildren, several great grandchildren, and two sisters, Carol A. Lucidi and Anita Burtosky, both of West Chester, Ohio. Friends will be received Friday from 5-8:00PM at the J. Paul McCracken Funeral Chapel, Inc., 144 East Main Street, Ligonier with a prayer service to follow at 8:00PM with the Rev. Dr. J. Paul McCracken officiating. Interment will be in Snowball Cemetery. Ligonier Lodge #331 F&AM will hold services in the funeral chapel Friday at 7:30PM. To send flowers or a remembrance gift to the family of Robert A. Burtosky, please visit our Tribute Store. "Email Address" would like to share the life celebration of Robert A. Burtosky. Click on the "link" to go to share a favorite memory or leave a condolence message for the family.